Take years off your skin’s appearance with safe and effective Sublative Rejuvenation treatments. With the unique power of the elōs laser system, we can safely and comfortably fade skin imperfections caused from the sun, and uneven skin tones caused by brown and red spots. The treatment is also effective on Rosacea, Freckles, Spider Viens. Age and Sun Spots. Sublative Rejuvenation is clinically proven to treat fine lines and wrinkles, acne scars, provide skin tightening and even textural irregularities caused by excessive sun and environmental exposures. Little to no downtime post-treatment, patients can return to regular activities following treatment. Sublative Rejuvenation is the “all-natural” approach to enhancing your youthfulness. Unlike other non-aggressive cosmetic treatments such as Botox, fillers, or chemical peels, laser skin rejuvenation works from the inside out by stimulating cell regrowth. Thus laser skin treatments last longer and can be further enhanced with yearly maintenance treatments. Finally you can rid yourself of troublesome hair, even in areas that are difficult to deal with. Achieving beautiful, silky smooth skin is now easier than ever before. 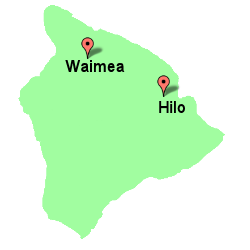 Call 808-885-9000 for an appointment today! 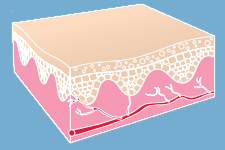 Controlled, fractional RF energy is effectively placed into the skin dermis where it can produce significant dermal impact with minimal epidermal disruption. Using the combined bi-polar radio frequency and light energies of elōs technology, we can precisely and safely target pigmented lesions such as freckles, sun spots and age spots. 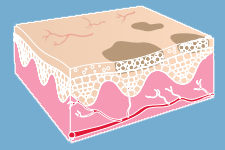 Vascular lesions such as spider vessels and redness from rosacea are also lightened and gradually fade. Will laser skin rejuvenation treatments work for me? Because of the unique characteristics of the elōs laser, we can treat most skin types and most conditions that cause uneven skin tones giving you a youthful, smooth appearance to your skin. Because of the way the skin surface is cooled during treatment and how the energy is delivered through the skin you should not feel any pain. However, patients with very sensitive skin can receive topical anesthetics for patient comfort. This clinically proven procedure has been approved by the FDA to deliver effective results with minimal downtime. You won’t have to “hide” from people after treatment either, this no-downtime method allows you to return to your normal activities immediately after treatment. Treatment costs vary depending on what areas we are treating, and how many treatments are required. For a good idea on your investment in skin rejuvenation, call our specialists at 808.885.9000 or drop us an email.